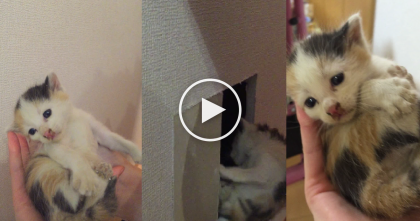 This poor little kitten was hobbling towards a human, meowing desperately for help. Thankfully this kind man loves to rescue broken kittens and couldn’t do anything other than to rescue the wee little kitten! 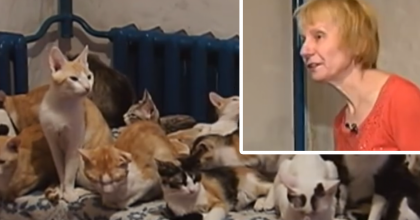 It’s amazing what love can do… Watch this wonderful story! 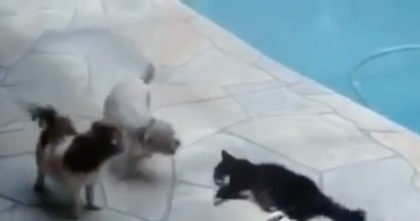 When These Kittens Get On The Dance Floor, You’ve Gotta Watch The Results… SOO ADORABLE!! 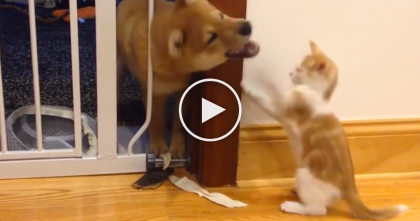 Little Kitten Battles Shiba Inu Puppy To Defend His Territory…The Results Are Just ADORABLE.